As the year draws to a close, we'll take a look at some of the headlines from the past year. 2013 had been a year marked by disasters and fortunately that wasn't the case in 2014. The year wasn't completely without mechanical issues, but they were not like the previous year. The cruise lines added capacity, especially in the Caribbean, driving prices down. 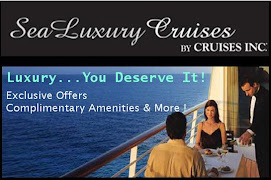 Passengers that took advantage of the low pricing still got the excellent value that cruising offers. 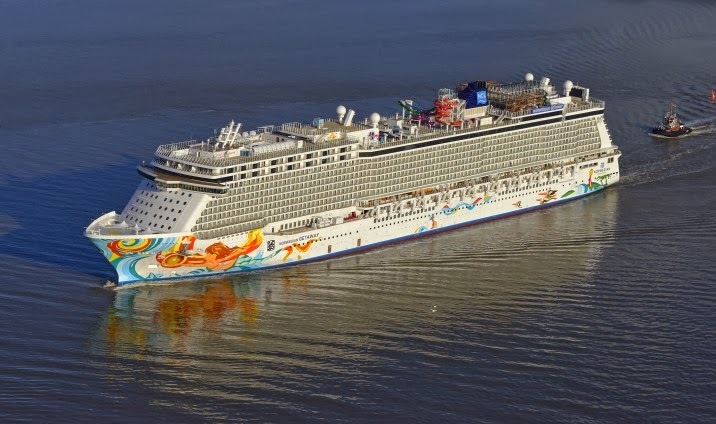 Honors went to Norwegian Cruise Line as it took delivery of Norwegian Getaway from MEYER WERFT in Bremerhaven, Germany in January. The 145,655 gross ton cruise ship, second in the Breakaway Class ships, took only 15 months to be built by the German shipbuilder. 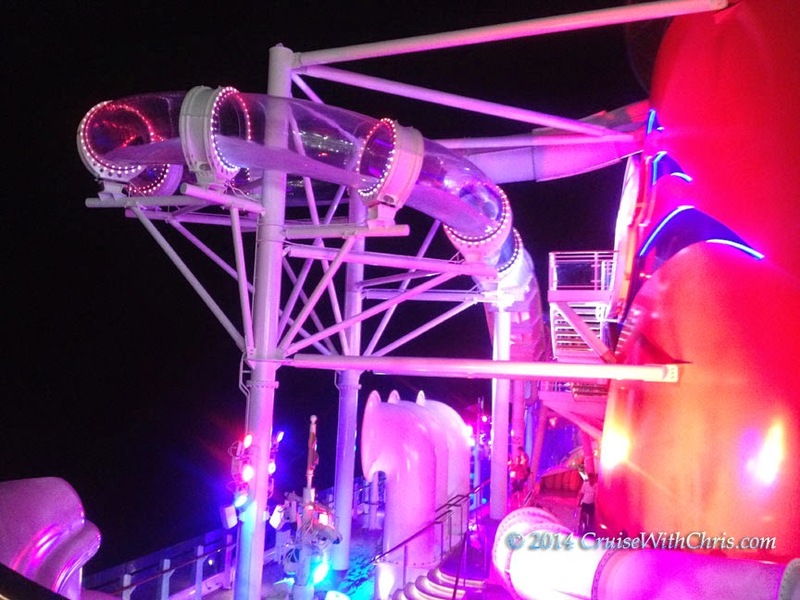 "Most Anticipated New Ship for 2014"
Royal Caribbean's Quantum of the Seas took to the waters in Cape Liberty for a winter program in the Caribbean. It will then transition to Europe for Spring before departing for its permanent home in Asia. The ship has several new innovations including North Star where you can ride 300 feet above the sea, bumper cars, and sky-diving. 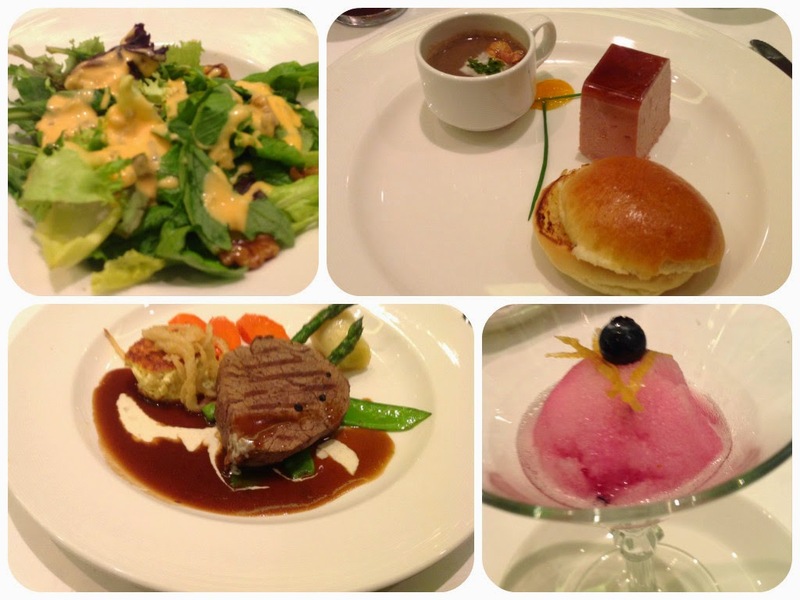 New dining experiences were also introduced. Dynamic Dining is receiving mixed reviews. Read more about the new concept: Quantum Leap in Dining. When the brand-new Regal Princess began its Caribbean sailings in November, we were onboard to enjoy the introduction of Chocolate Journeys which is part of the 50th Anniversary celebration that will be fleet-wide starting in January. 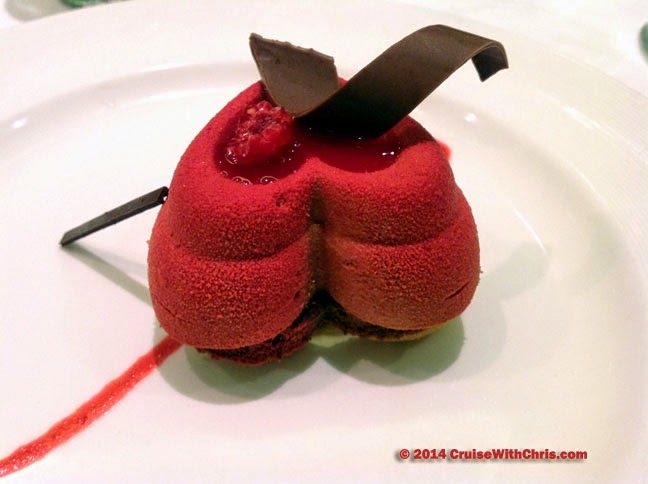 Princess Cruises teamed up with Norman Love to introduce this new culinary experience. You won't want to miss the anniversary celebration. As these new ships entered service one ship that had been front and center in the industry news for more than 2 years, made its final voyage as it was towed to Genoa, Italy where it will be scrapped. 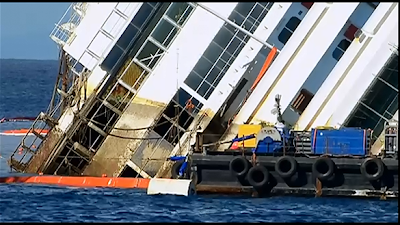 This image extracted from a live video of Costa Concordia's Parbuckling Procedure, which began mid-September, 2013 in Giglio, showed how slow the process was to right the vessel. The installation of 15 sponsons positioned on the starboard side (land side) and the remaining 4 on the right side (sea side) was completed in order to proceed with the refloating phase and have the wreck ready for towing by the end of June 2014. The towing to Genoa, Italy actually began July 22, 2014. As 2014 ends, Captain Schettino is still on trial, Costa Concordia is being dismantled, and costs of the largest salvage operation in history continue to mount. The Museum of Science and Industry’s 73rd annual Christmas Around the World and Holidays of Light features more than 50 trees and displays,each decorated by local volunteers and reflecting their ethnic heritage. 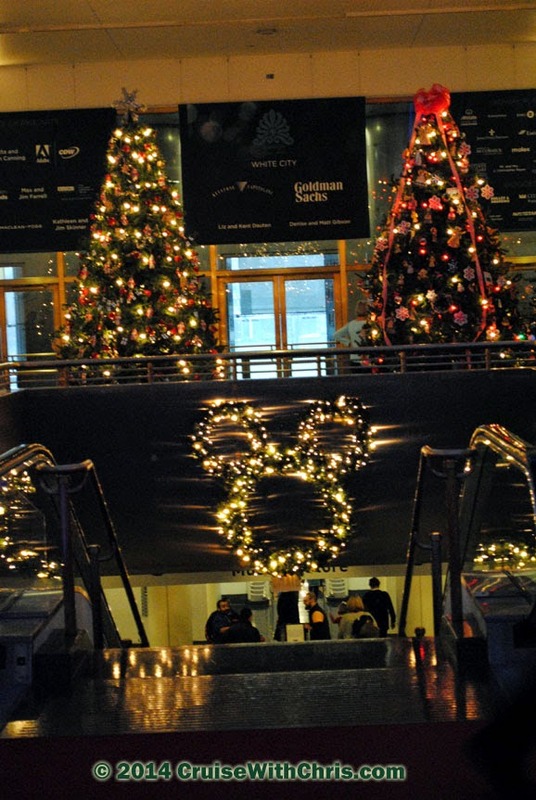 The main tree in the museum rotunda has a Disney theme in honor of the temporary exhibit Treasures of Disney. If you haven't seen them yet, check out these exhibits now through January 4th. Take the escalator up to the main museum level and enter a world of Christmas trees and other exhibits that transports you to lands far away. 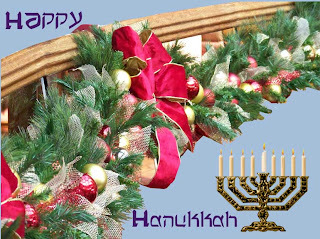 See how trees are decorated in the land of your ancestors. 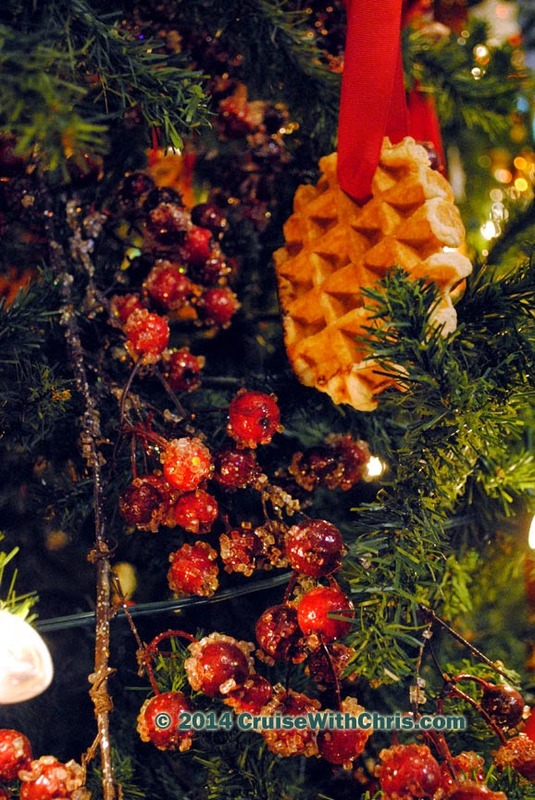 Learn about cultures and other holiday traditions as you stroll through the trees. There are also ethnic singers and dancers performing live on stage throughout the day. Rest awhile while watching one of their shows. This is a family tradition that can be passed down from generation to generation. 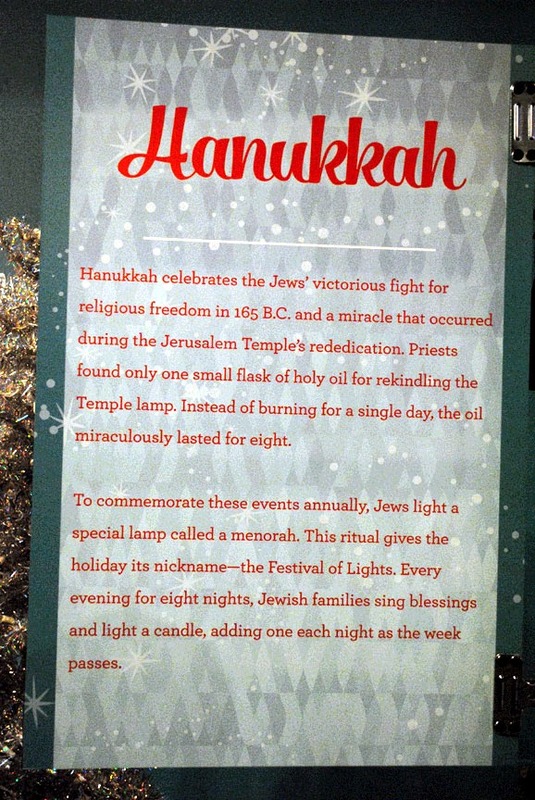 When we were children, we visited the MSI to see the Christmas tree exhibit. Years later, our growing family returned to see the trees. Their children too will someday visit the museum to travel around the world without leaving home. Click on the image if you need a closer look ... based on the decorations on this tree, can you guess what country it might be seen in? Check out our Twitter profile page for some more images from our visit to the museum. Do you have a favorite holiday tradition that features #LIGHTS? This fabulous display of 3.5 million lights illuminating the mill, the gorge, the riverbanks, trees and bridges can be seen in Clifton, Ohio. 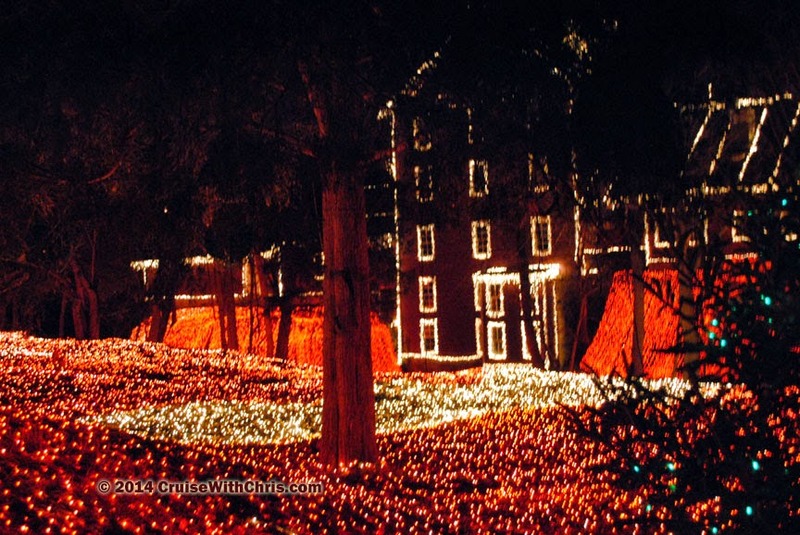 For more than 25 years, the mill has been turned into a winter wonderland of lights for the Christmas season. 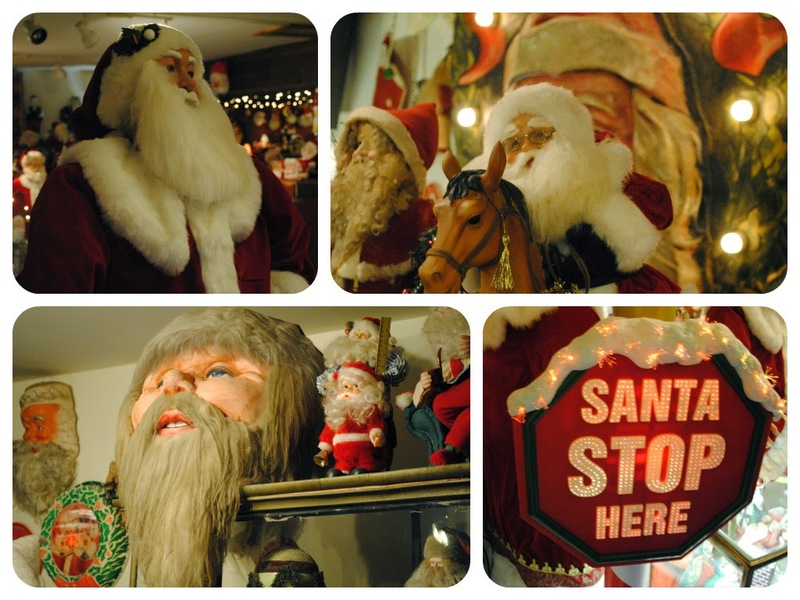 This year, opening day was November 28th and it will be open every night through January 1st. See their website for more details. By the end of the song, the music is booming through Clifton Gorge, the lights on the covered bridge have become mesmerizing and everyone watching is completely enthralled. Then the music ends and the bridge lights all go out, once again leaving guests in total darkness. Then, before most spectators can catch their breath, 3.5 million lights come on again all at once! 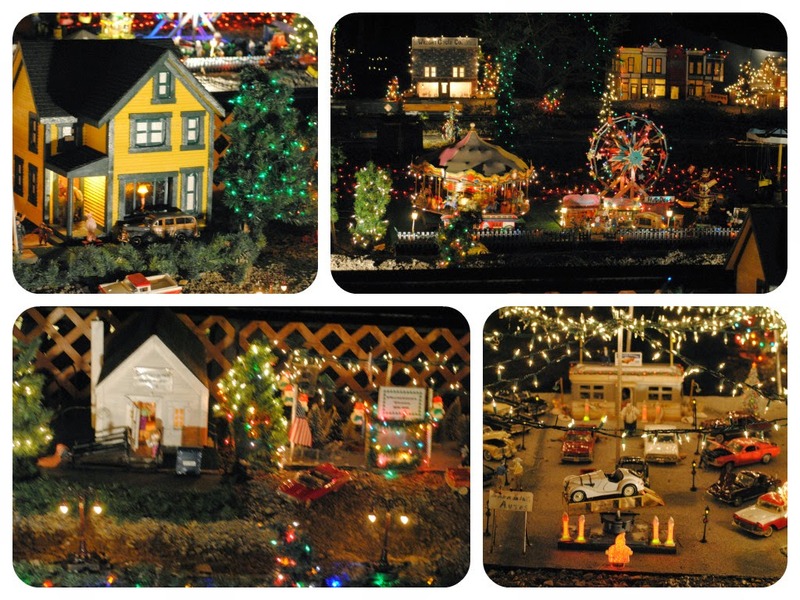 After watching the light display and the miniature village, you can explore their expansive Santa Claus Museum, have some hot chocolate, or purchase something in the gift shop. One highlight for us this year was a day exploring the Museum of Science & Industry's "Christmas Around the World & Holiday Lights" exhibit along with the "Treasures of Disney". 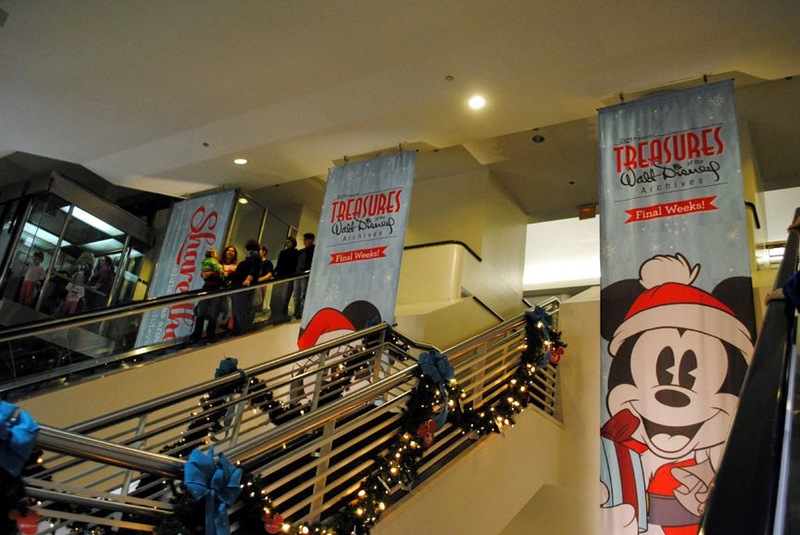 The holiday exhibit is an annual event at the museum while the Disney exhibit was a limited exhibit highlighting the life of Walt Disney. 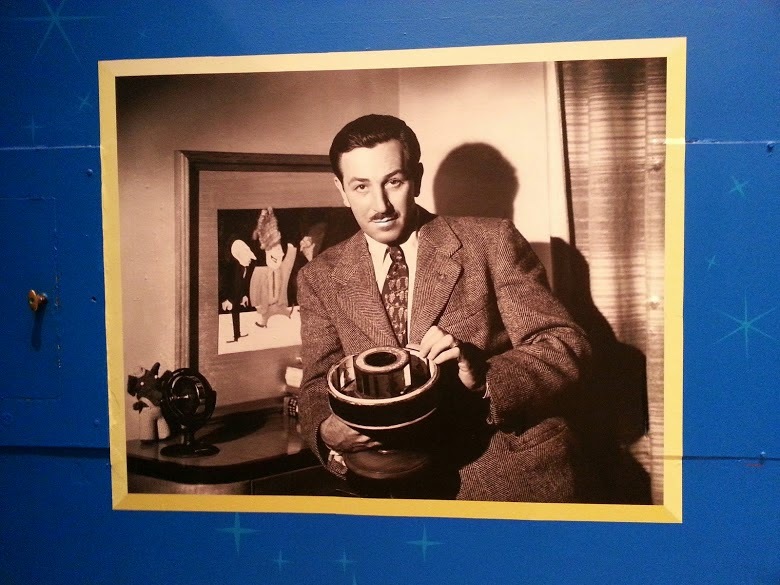 As the saying goes, Disney's success started with a mouse. 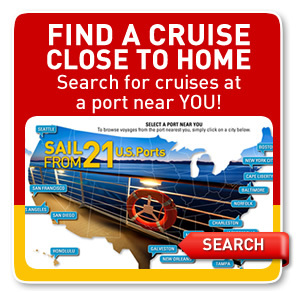 Today Disney provides families with great value at the resorts and ships from coast to coast. We were fortunate to be able to sail on Disney Dream, one Disney's newest ships, during one of our recent national conferences. Make some memories in 2015 with your family and friends. This week's #FriFotos theme is #LIGHTS and what better example than Holiday Lights. We were so excited about sharing some of our photos and videos from this special time of year. Here's some inspiration for you. We posted this image taken at the Museum of Science & Industry in Chicago, IL. 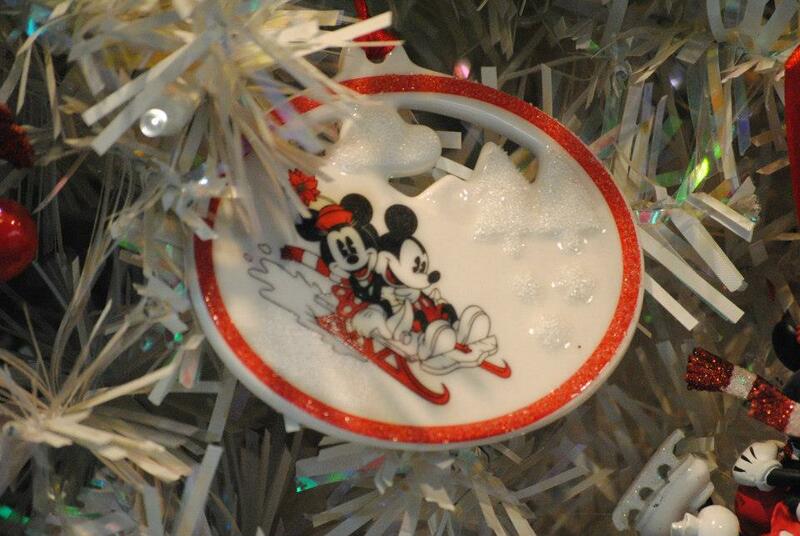 Each November - December, they feature "Christmas Around the World & Holidays of Lights" exhibit. This image lighted house was part of Ecuador's tree. 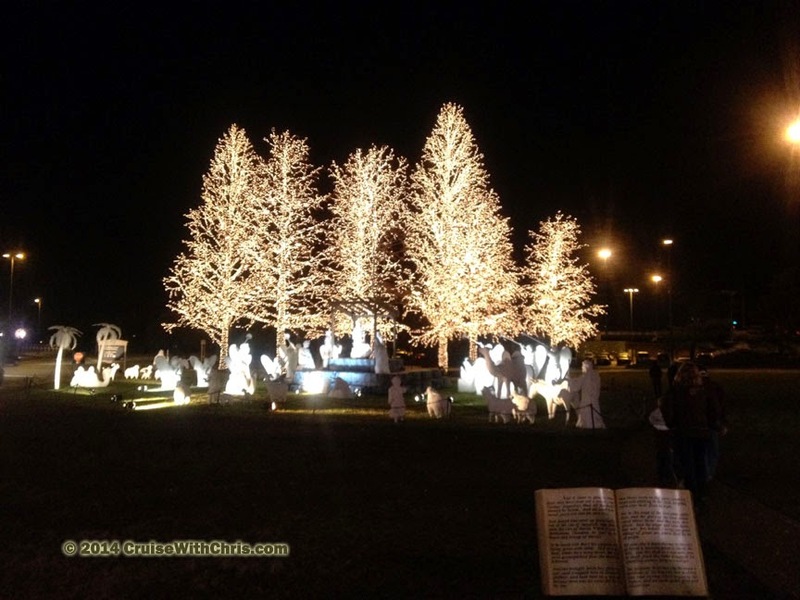 Our next example is a video taken at Shadrack's Christmas Wonderland in Nashville, TN. This selection features Trans-Siberian Orchestra's Wizards in Winter. This is one of Nashville's holiday traditions. 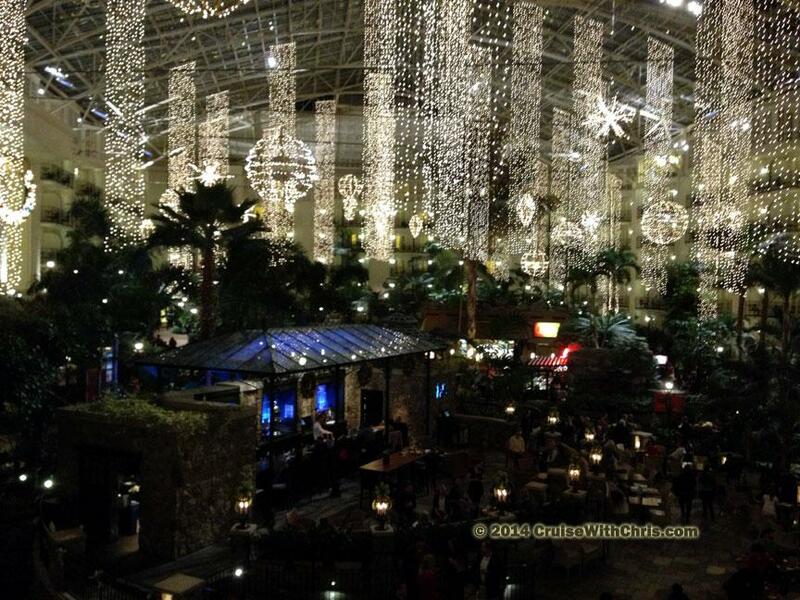 Another holiday tradition can be seen at Gaylord Opryland Hotel in Nashville, TN. The hotel has an expansive interior holiday light display in their 4.5-acre indoor garden. Guest's rooms overlook this expansive atrium. You don't need to be a guest at the hotel to see this exhibit, but they do have some Christmas in the Country packages that you might be interested in. Outside the hotel cars line up to view the nativity set which tells the story of the first Christmas. Finally they have ICE! which takes chunks of ice, some talented artists, and brings to life an indoor exhibit to thrill the whole family. 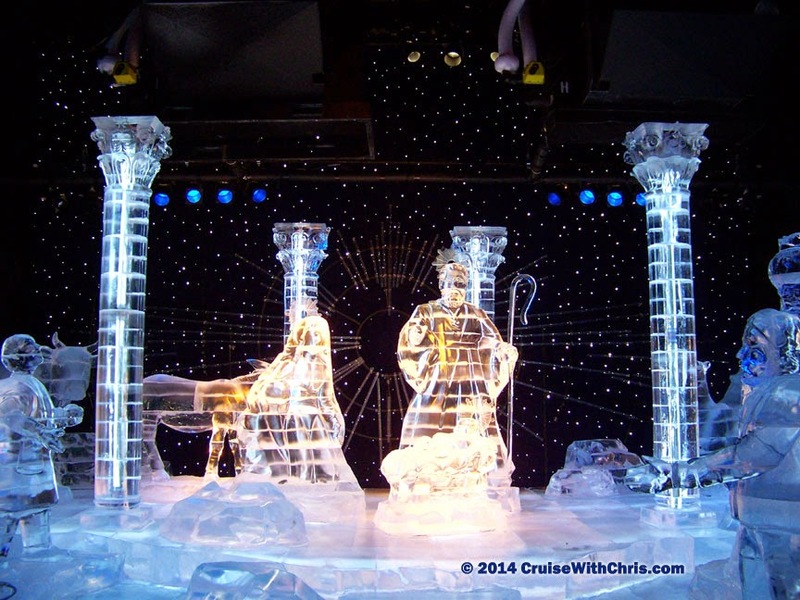 The theme changes each year but the finale is the nativity scene made out of ice. All of these activities and more are fun for the entire family. If you aren't staying at the hotel, plan on spending several hours there exploring the holiday lights and other attractions. 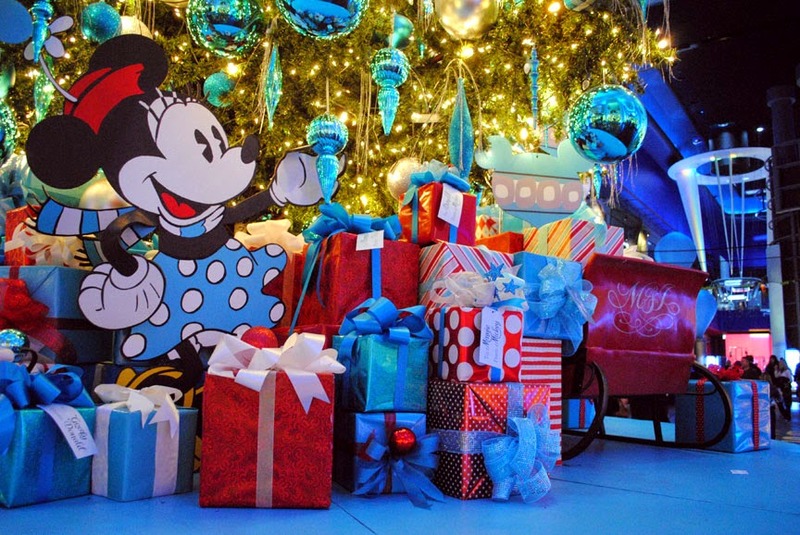 We hope we've given you some ideas for #FriFotos and perhaps for some holiday traditions you can add this year or next. 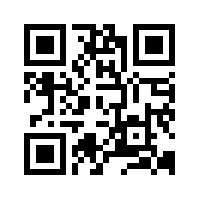 Contact us if you'd like more information. Right before our National Conference in November, Gerry Cahill announced his retirement as Carnival Cruise Line's President. Carnival Corporation & plc., the world’s largest travel and leisure company, today announced that Christine Duffy has been named president of Carnival Cruise Line, with 24 ships, making it the largest of Carnival Corporation’s nine distinct cruise brands. According to the press release, Duffy will assume the role on February 1, 2015 and report to Arnold Donald, the CEO of Carnival Corporation & plc. I've been fortunate to get to know Christine Duffy through my association with Cruise Lines International Association, Inc (CLIA). 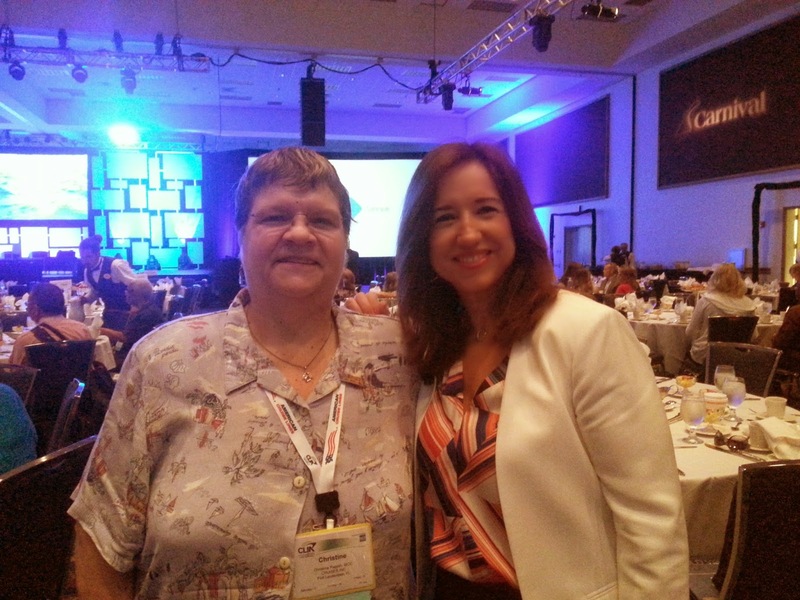 I'm pictured with her (above) at the most recent Cruise3Sixty conference which was held earlier this year in Fort Lauderdale, FL. 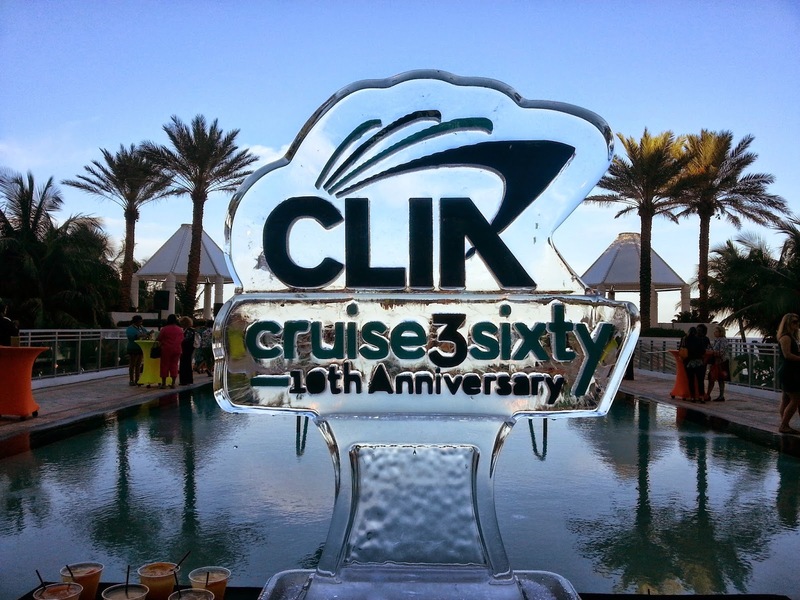 That event marked the 10th anniversary of the conference, which is attended by agents and member cruise lines from around the globe. With Gerry Cahill at the helm, Carnival Cruise Line had some rough seas of late. We hope that as Christine Duffy assumes the role, the seas are calm. We are looking forward to working together to help dreams come true on one of the Fun Ships of Carnival. Congratulations !! Fantasy Island - Smiles, everyone...smiles! When @FriFotos announced this week's "Smiles" theme, the first thing that came to mind was the old Fantasy Island show where Mr. Roarke (Ricardo Montalba) lined the staff up and told them to smile as the guests arrived. That became the catch phrase which is still remembered today. The next thing that I thought about is how fortunate I am to have the opportunity to make other people smile each and every day. My job (if you want to call it a job) is to match your vacation dreams with reality. I know that once you arrive at your vacation destination (and possibly sooner) you are going to have smiles on your face. How great is that? I've also had the good fortune to have had many opportunities to smile personally as well. For those that know me, you know that I don't really like to have my photo taken and my husband has to either work hard to get a picture with me smiling or catch me off-guard. Sometimes, I can't help but smile, like in some of the images I'm including in my submissions for #FriFotos. 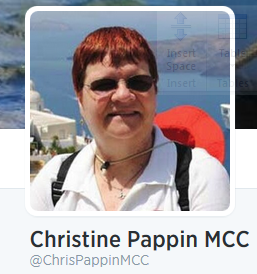 My all-time favorite cruise was on Celebrity Cruise Xpedition to Galapagos. As you can see in this picture, I had a smile from ear to ear as we embarked on one of our exploratory excursions via Zodiac boat. 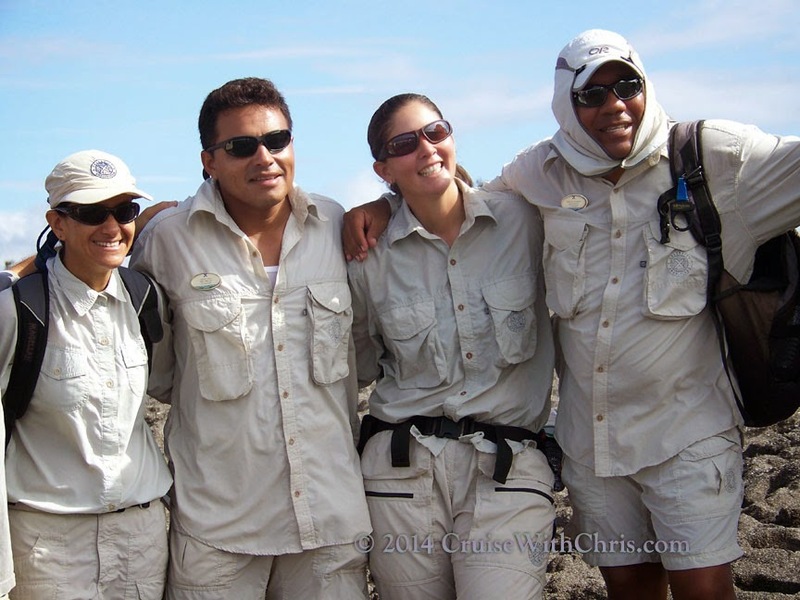 You can read more about that trip in our blog post: Diary of Celebrity Xpeditions Galapagos. 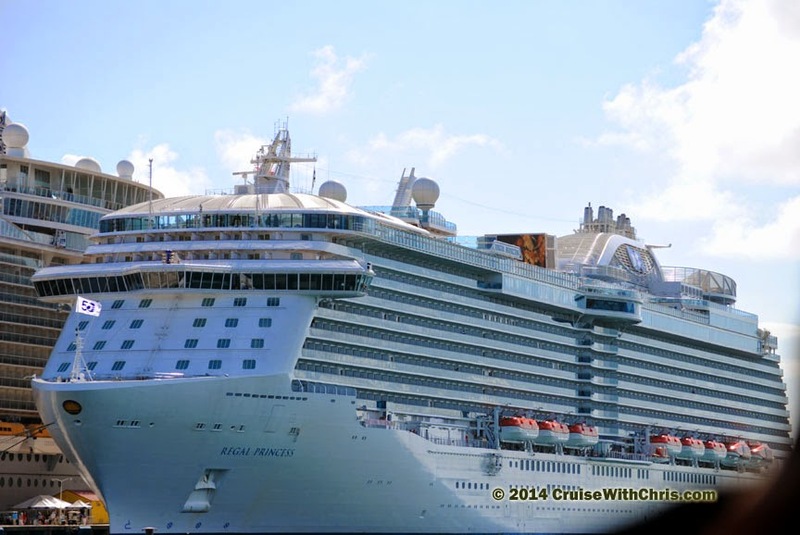 The image above was taken on Royal Caribbean Allure of the Seas. I love penguins - even the stuffed variety, so that brought a smile to my face as well. 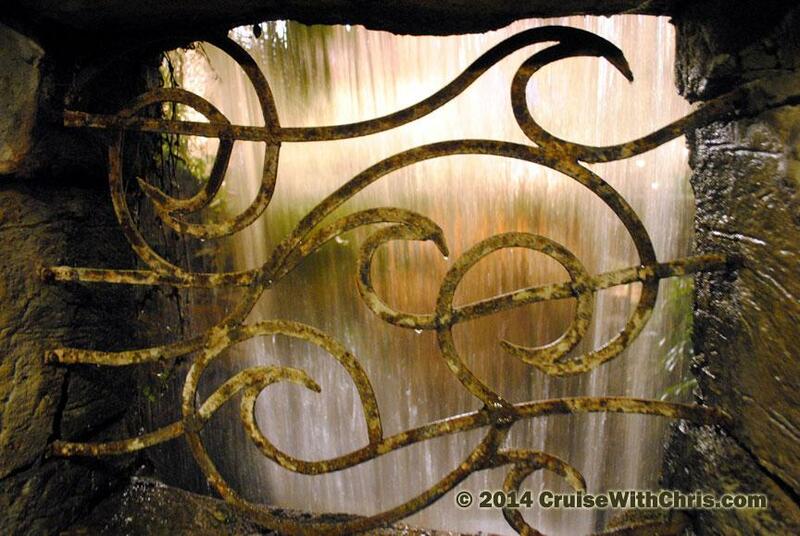 Another of my all-time favorite cruises was our trip to the Mediterranean. That trip started in Rome and ended in Venice with several stops along the way in Greece. 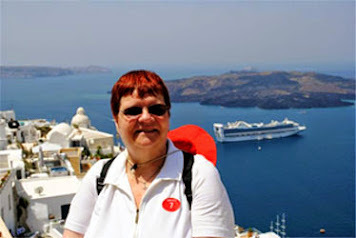 Here I'm pictured smiling in Santorini, which was indeed one of the best stops of the cruise. What could be better than an unexpected surprise? 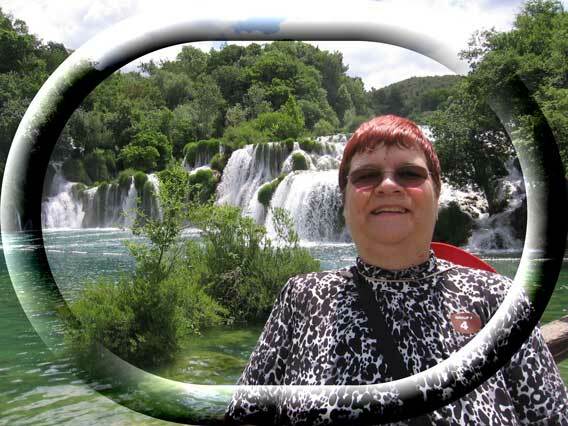 I couldn't have imagined how beautiful Split, Croatia would be until we actually arrived at the KRKA National Park & Waterfalls. Would Any of These Make You Smile? I suspect that they would bring a smile to your face if you love nature, history, seeing new places, or simply getting away from your daily routine. Of course, every trip can have a unique set of requirements in order to bring a smile to your face. 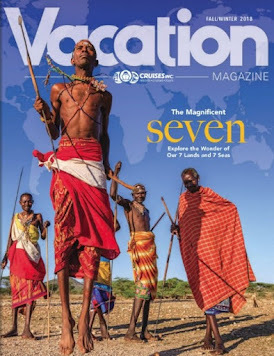 Knowing about the various destinations, the ships, the land resorts, tour operators, the do's and dont's for each destination, etc. means that I can play "smile maker" (kinda like a match maker for creating happiness). 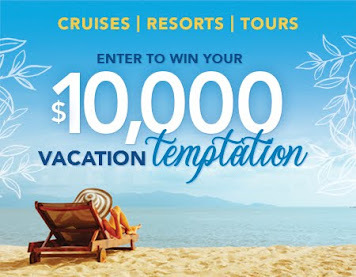 Just like on Fantasy Island, the staff of cruise ships, resort destinations, hotels, excursion operators, and even passengers you meet during your trip can contribute to the enjoyment of your vacation. When they have smiles on their faces, you can't help but smile back. Here, a few of the naturalists that were onboard the Celebrity Xpedition pose for a picture. During our short visit to the Galapagos, we learned a lot from them and really enjoyed the visit because they were fun to be around. They enjoyed what they do for a living and their smiles were genuine. We invite you to go through your photo archives and find some examples of "Smiles" to share on #FriFotos this Friday. We think that doing so might even bring back a smile to your face as you remember a past experience. Jimmy Buffet held a surprise performance for the membership of Norwegian Cruise Line at the annual company-wide employee meeting in Miami. At the meeting, Kevin Sheehan, Norwegian’s CEO, announced the new partnership with Buffett. Margaritaville will be a complimentary restaurant on the Norwegian Escape, which will debut in Europe next October and begin week-long Caribbean cruises out of Miami starting Nov. 14. We'll be on that sailing for our National Conference. The 5 O’Clock Somewhere Bar will be an outdoor bar on the ship’s Waterfront zone and will feature live music nightly. 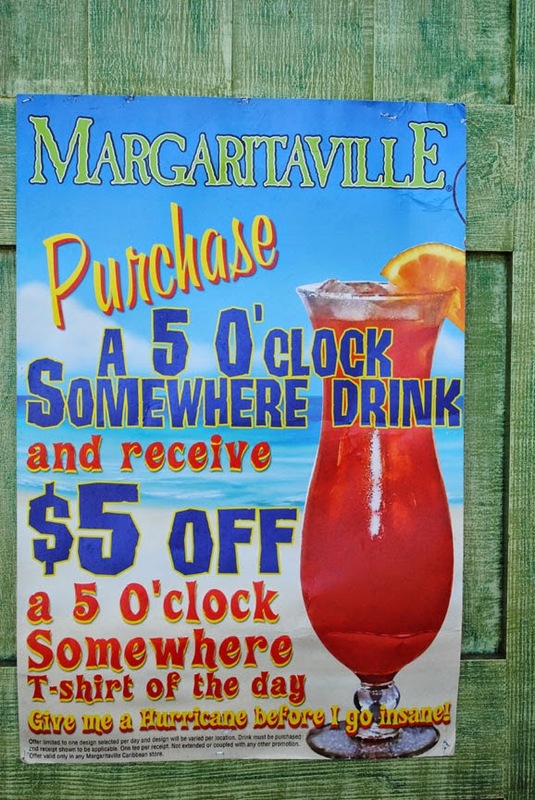 Norwegian’s port at Harvest Caye, Belize, will have a Margaritaville when it opens next fall, and a 5 O’Clock Somewhere Bar will open next year on Norwegian’s Great Stirrup Cay in the Bahamas. 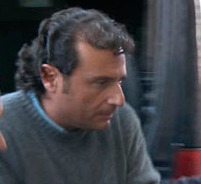 "It is exhausting, but I think it is going well," Schettino said of Tuesday's hearing. "It is important because this is the only chance I have to tell my version of events." Several of his crew members have already taken deals by pleading guilty to their charges. Those testimonies may be hard for Schettino to overcome as he tells his version of the story. He faces up to 23 years in prison if convicted. The trial began in July, 2013. 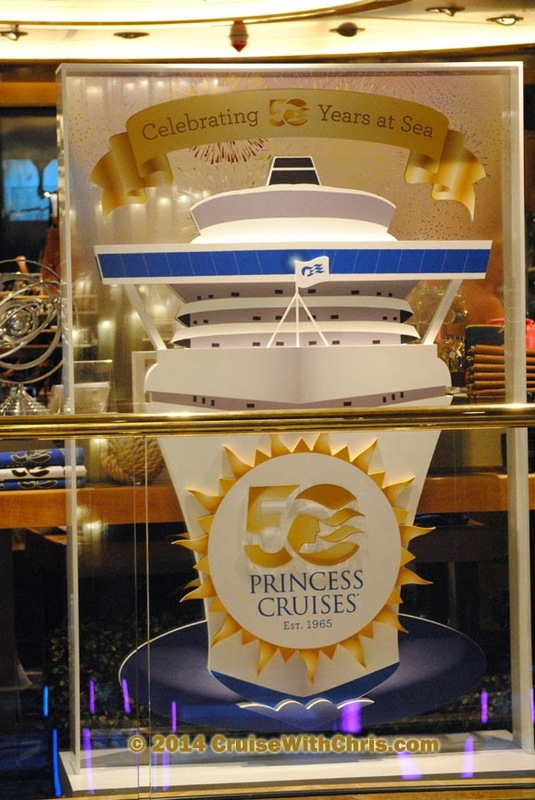 2015 marks the 50th anniversary of Princess Cruises. Step aboard the Love Boat for an amazing journey that you will remember for years. Learn more about what lies ahead on your cruise by watching this short video. 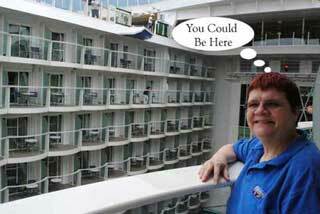 We had an early taste of what's to come during our 2014 National Conference on Regal Princess. From the time you arrive at the pier you'll realize that you are about to be part of a historic milestone. 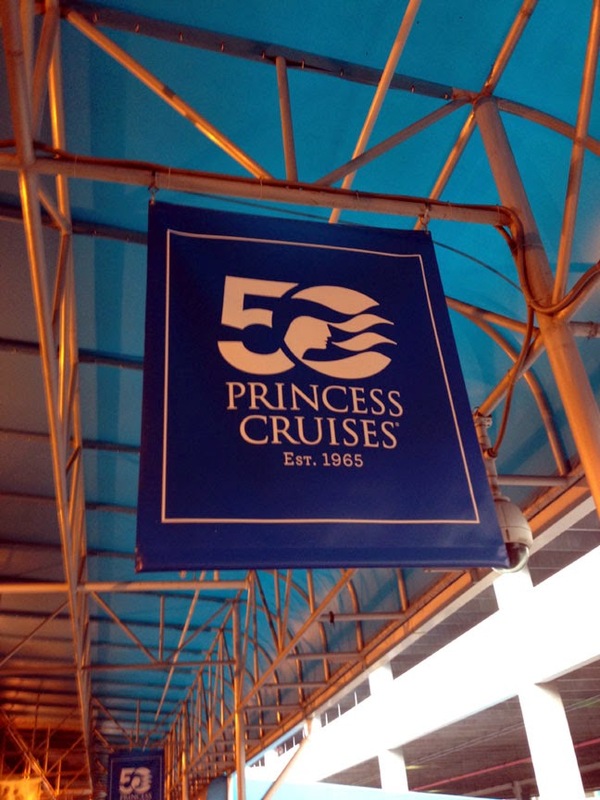 Signs hang overhead announcing the 50th Anniversary of Princess Cruises. Once you get inside the waiting room, you'll find even more evidence of the historic event. Once onboard the ship, explore the milestones since 1965 when it all began. Who could forget the Love Boat? 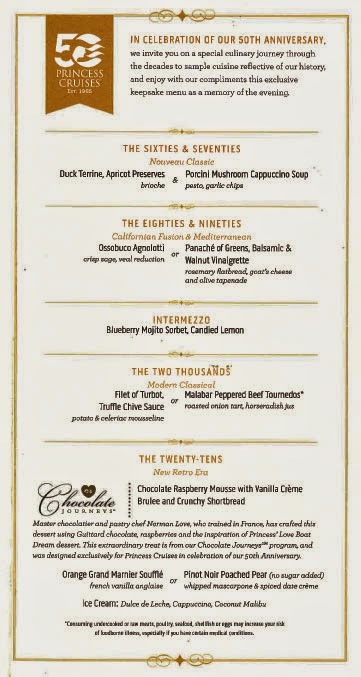 On formal night, the chefs will prepare a commemorative menu featuring some of the best dishes served over the past 50 years. Shown here is our dinner onboard Regal Princess during it's inaugural Eastern Caribbean sailing - another milestone to add to the pillars in the lobby. Princess has teamed up with Norman Love, well-known master pastry chef and chocolatier, to create unforgettable desserts and other creations just in time for the anniversary celebration. Chocolate Journeys will be rolled out fleet-wide starting in January. The highlight of our anniversary meal was this Chocolate Raspberry Mousse with Vanilla Crème Brulee and Crunchy Shortbread. 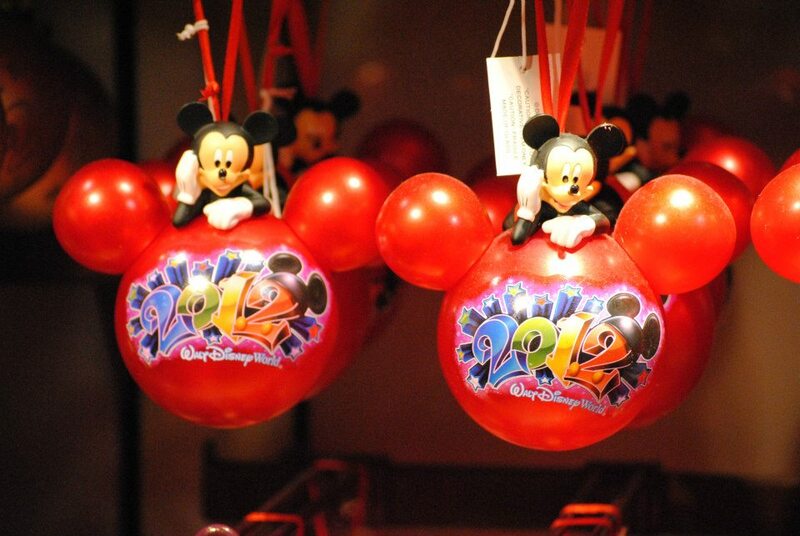 Be sure to visit the logo shop onboard for once in a lifetime gift items for yourself, family, and friends. 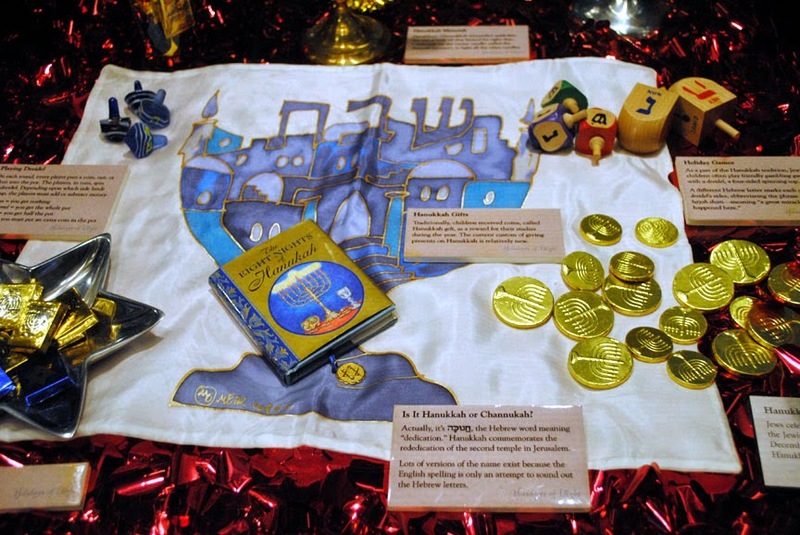 Select from commemorative clothing to magnets, ornaments, and coins. Princess Cruises began in 1965 with just one ship, Princess Patricia®. Today, you can choose from among 18 ships sailing to destinations like Alaska, Caribbean, Europe, the Panama Canal, and many more sought-after destinations. This is the time for you to "Escape Completely and Come Back New" on a Princess Cruise. 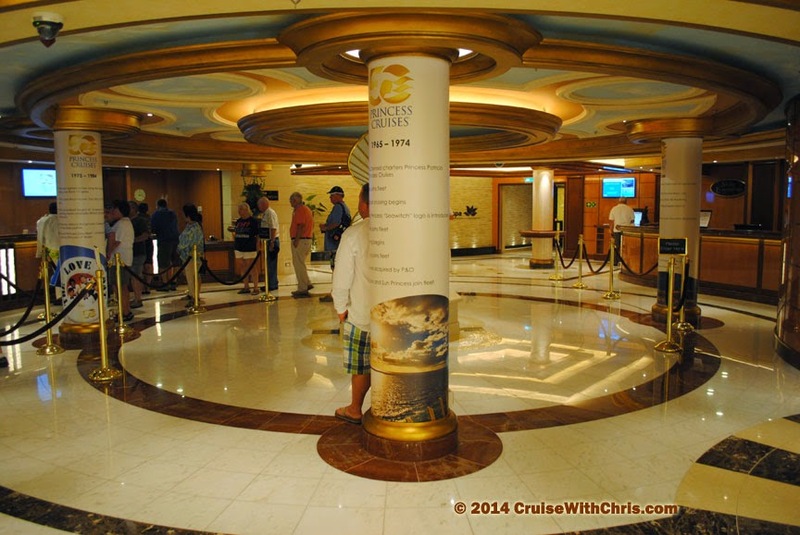 There is so much more that we can share with you from our preview of 2015 during our Regal Princess Cruise last month. Contact us for all the details and to start planning your getaway. 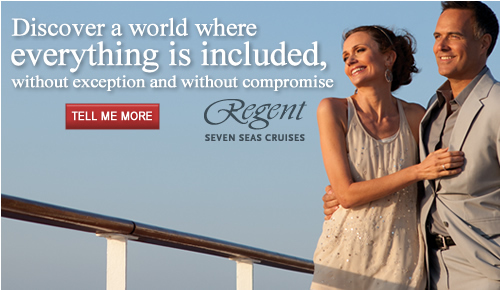 Browse the 2015 Princess Cruise itineraries and current special offers. Congratulations Princess Cruises on this achievement. We look forward to the next 50 years.